Performative Architectonics. Exercises for Designers. The stage workshop headed by Oskar Schlemmer from 1923 to 1929 became an established part of the school’s comprehensive education in the arts, especially in Dessau. Schlemmer viewed the stage as a learning space for architects, artists and other designers, providing an especially investigative, playful and practice-based opportunity to learn in motion. As such, the Bauhaus Dances developed by Schlemmer in Dessau built on the idea of physical exercises for designers. The primary aim of the Bauhaus Dances, in addition to the design of sets and costumes, was to get the students to dance so that they might actively investigate and explore configurations of form and space in and with movement. In the Raumtanz (space dance), Formentanz (form dance) and Materialtänzen (material dances), as well as in the Bauspielen (construction games), the relations of bodies and space are shaped in an abstract, structural way. This was the only way they could function as didactic experimental arrangements that enable not only sensory and real experiences of how to shape the three dimensionality of space, but also reflections on the ideas behind them. The contemporary programme Bauhaus Open Stage. Performative Architectonics builds on this. 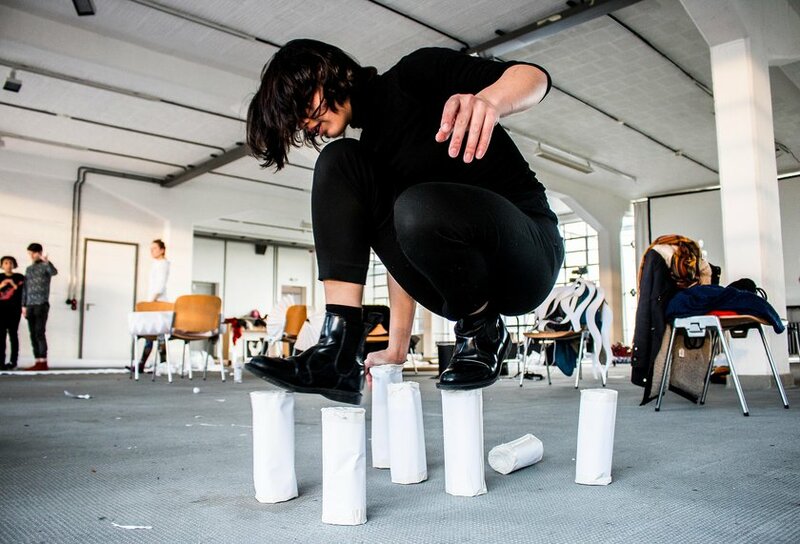 It is laid out as a series of related projects for a network of seven international universities, in which methods and experiments of the historic Bauhaus stage workshop are addressed and specifically developed in contemporary performative studies. In view of the centenary of the founding of the Bauhaus in 2019, since December 2017 the Bauhaus Dessau Foundation – in cooperation with universities in Berlin, Bern, Dresden, Hangzhou, London, Seoul and Tokyo – has been updating the research-based inquiry into the pedagogy of the historic Bauhaus stage. The outcomes of the currently two-year programme will be brought together in performance-demonstrations in the form of a joint Bauhaus Lecture Review at the Festival Bühne TOTAL. The Festival Bühne TOTAL will take place in September 2019 in Dessau in the scope of the Bauhaus Festivals.